My perpetually dry and ultra sensitive skin is starting to feel the horror that this cruel Dubai summer brings. And I'm telling you, downing lots of water and staying indoors with the air-conditioner in full blast will help, but they are so not enough to save you and your skin from feeling victimized by the scorching weather. Fortunately, moisturizers have been invented to keep dry skin at bay. 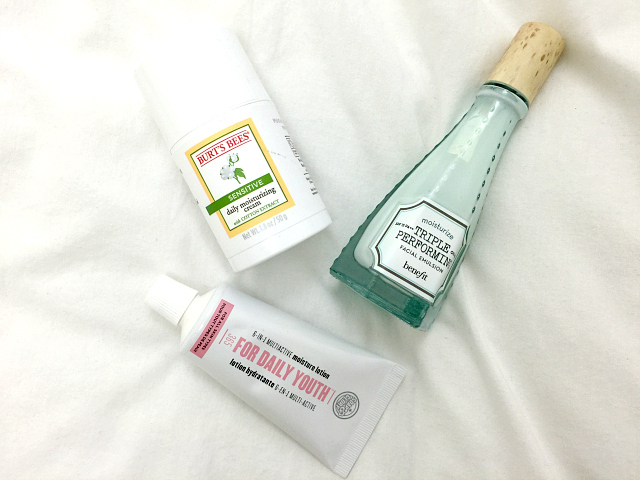 And although there were lots of hits and misses, it's amazing that I've finally discovered my dream team of hydrating creams that are perfect for my sensitive skin. Here's my trio of goodness. Burt's Bees Sensitive Daily Moisturizing Cream is so gentle to the skin and it has been my go-to nourishing cream during the day when I don't have to go out of the house. I say this because it doesn't contain SPF. This moisturizer doesn't irritate my skin with its unique formula of cotton, rice extract and aloe. The good news? Fragrance-free and hypoallergenic. Going natural is always a good thing. 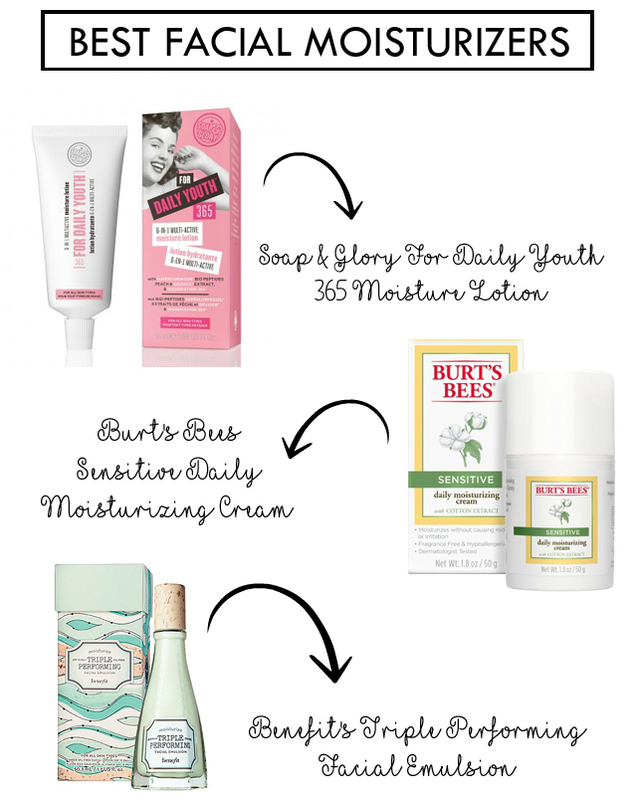 I alternate Burt's Bees with my Soap & Glory For Daily Youth 365 Moisture Lotion during the night. My skin has this disgustingly weird habit of breaking out like crazy whenever I use a certain product daily, so I need to switch it up every now and then in order to avoid zits. Sadly, I spent the latter part of last year suffering physically and emotionally from adult acne so no, I'm not going down that road again ever. I don't do mistakes twice. 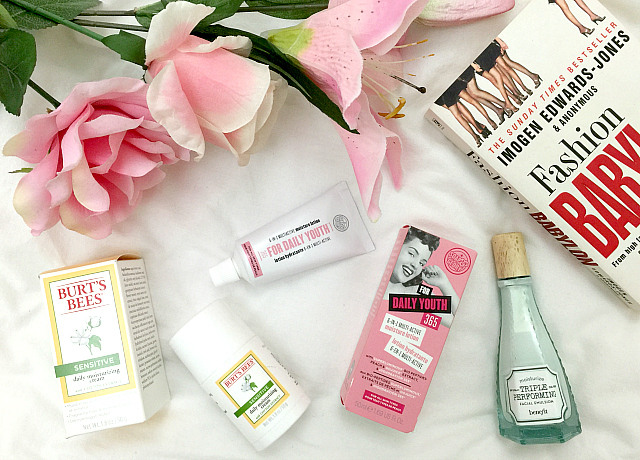 To be honest, I only ended up taking home this product for its uberly cute pink box. (Pink with a touch of vintage? Just take my money, please. Haha!) 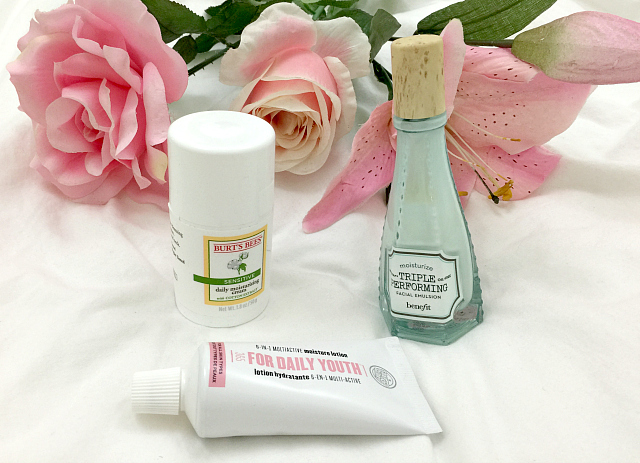 Good thing S&G's For Daily Youth, didn't disappoint when it comes to soothing my stressed and dry skin. The cream is not sticky, instantly absorbed, and also apparently suitable to all skin types. The scent kinda bothered me at first (it has peach and juice extracts), but I eventually got used to it. Don't get me wrong though. This product doesn't smell bad at all. If you like mild citrusy scents, then this one's perfect for you. I just would have preferred if this is fragrance-free, but other than that, this cream works wonders to my skin. Lastly, when I have no choice but to go out there in the sun, I protect my face with Benefit's Triple Performing Facial Emulsion. This product is oil-free, packed with SPF15, and comes in this clear glass bottle that has awesomeness written all over it. I've been using this for three months now after discovering it through my friend Kim's post on Instagram and my sensitive skin couldn't get any happier. This one's a real winner in my books. Even my husband is using this daily. How about you? What's your favorite moisturizer?